Wow — your response to our 12 Tips for a Killer Coloring Program in Your Library post and contest was nothing short of astounding! Congratulations to our winners, and thank you to everyone who entered our contest and took the time to share your experiences and plans for future coloring programs. Your ideas ran the gamut from providing coloring supplies for your staff to helping kids keep calm during the school day with some coloring downtime. 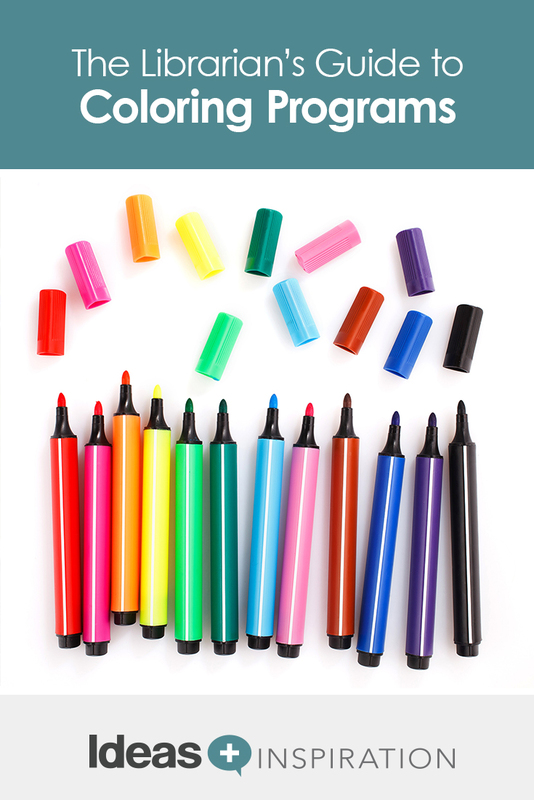 Regardless of whether you work in a school, public or college library, you’ll find tips below to get kids, teens, and adults excited about the coloring craze! Check out a few examples of how libraries are running their coloring programs below and download all the tips your colleagues shared in The Librarian’s Ultimate Guide to Coloring Programs for more inspiration. “We always run our program in the late winter/early spring, and we use the same theme as the Collaborative Summer Reading Program (CSLP). This year I have planned a coloring party and I’m calling it Color Yourself Calm to fit in with the CSLP theme Exercise Your Mind, Read. 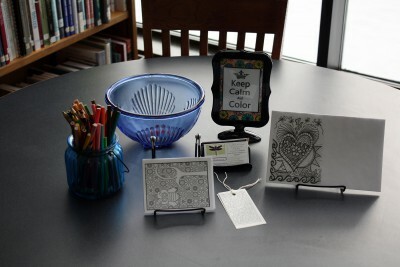 The coloring station at Valdez High School, Alaska, includes business cards for support services, including a suicide-prevention hotline. Students at Milwaukee Area Technical College’s Oak Creek Campus de-stress with coloring before finals. 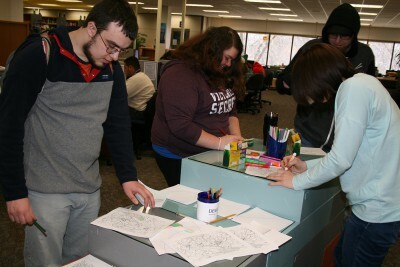 “At our college library, we’ve had coloring as part of our De-stress for Success program for many years. 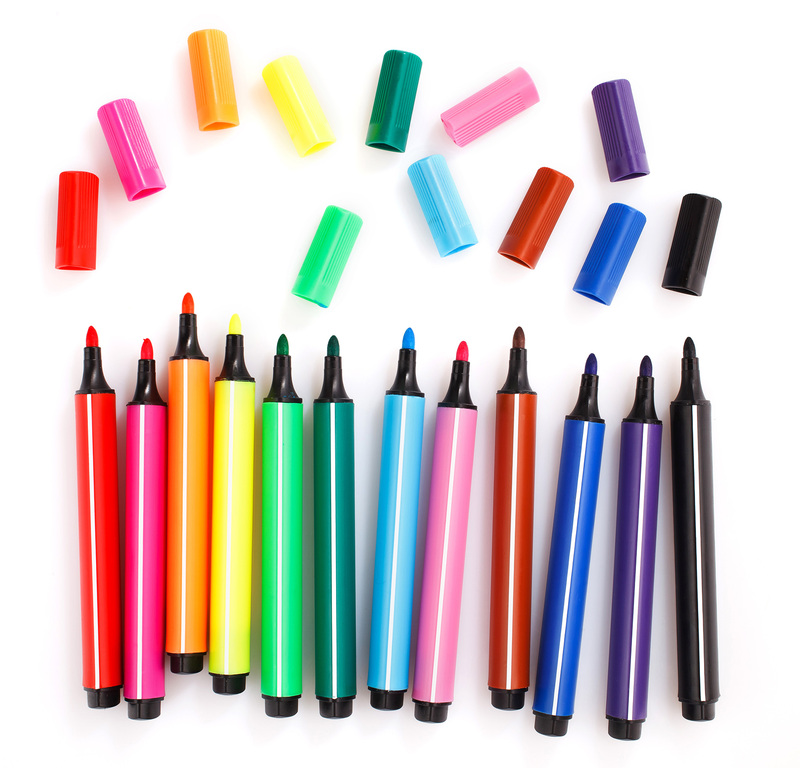 We have a variety of coloring sheets, from simple to challenging, that are available to color. We also have a mural that we build each semester from squares that students color in, which we then tape to a wall in the hallway. Each semester, the mural is different, and it creates a splash of color in a space that is otherwise very plain. Read more about the Milwaukee Area Technical College De-Stress for Success program in this post: You’ll Love the 3 Ways This College Library Helps Students De-stress for Exams. 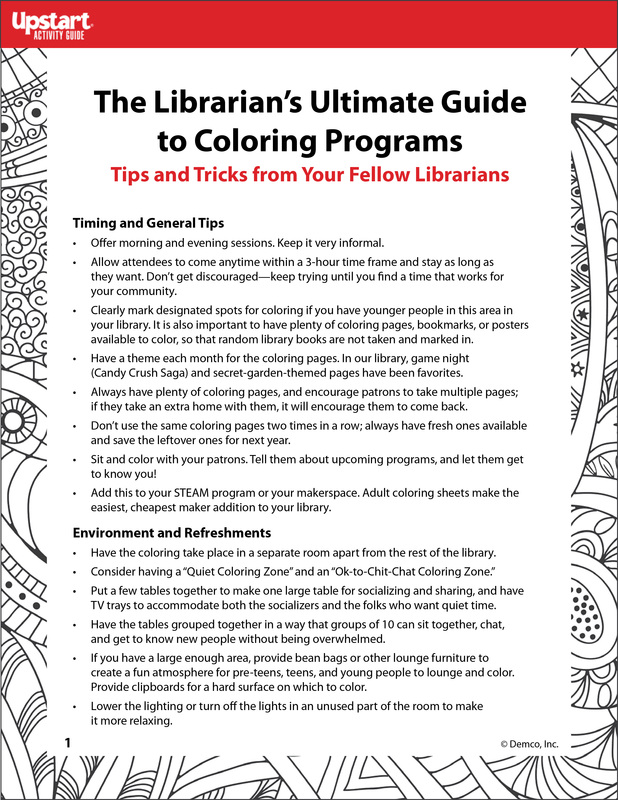 And don’t forget to download The Librarian’s Ultimate Guide to Coloring Programs, a fabulous resource packed with tips and tricks from librarians across the country.